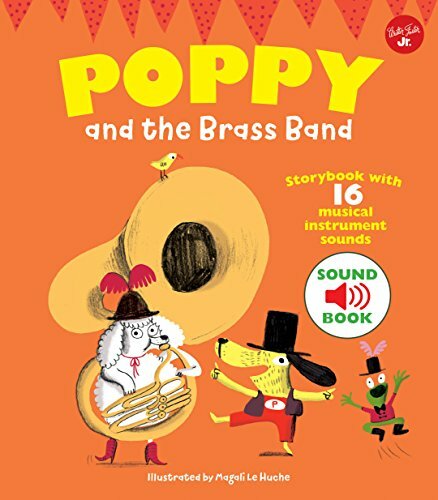 Poppy and the Brass Band is a children's book which features the sounds of 16 different brass instruments. Join Poppy the dog as she learns them all! With colorful illustrations and a new sound to discover on each page, both kids and parents will be entertained and engaged from cover to cover. Poppy and the Brass Band offers an opportunity to teach kids about classical music and the instruments in a brass band, so don't wait any longer, grab a horn and join Poppy! If you have any questions about this product by Walter Foster Jr, contact us by completing and submitting the form below. If you are looking for a specif part number, please include it with your message.